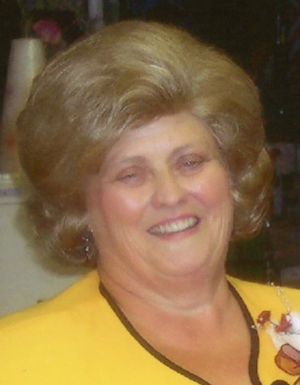 Obituary – Lumbers, Darlene Gayle (Thompson) « Perry High School Alumni Association, Inc.
Darlene Gayle Lumbers, 72, of Perry, Oklahoma, was the daughter of James T. and Elva Mae Musick Thompson. She was born July, 29, 1941 in Red Rock, Oklahoma, and passed away January 16, 2014 in Perry, Oklahoma. 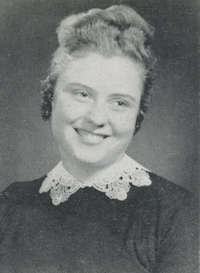 Darlene was a resident of Perry for 54 years, where she was a member of the First Christian Church and the Rebekahs. She and Bob Lumbers were married in November 2001. She enjoyed creating jewelry and playing instruments. Darlene also enjoyed music and song writing. Funeral services will be at 2:00 p.m., Monday, January 20, 2014 at the BrownDugger Funeral Home Chapel in Perry, Oklahoma. Rev. Martin Foster will officiate. Burial will be at Grace Hill Cemetery in Perry, Oklahoma. Services are under the direction of BrownDugger Funeral Home in Perry, Oklahoma. Memorials may be made to the Diabetes Foundation or the American Heart Association in care of BrownDugger Funeral Home, 1010 N. 7th Perry, Oklahoma 73077. Darlene is survived by her husband, Bob, of the home daughter, Darla Majors and her husband, Tom of Perry, Oklahoma sisters, Lila Bay and her husband, Raymond, Melva Edgar, and Donna King, all of Perry, Oklahoma. She was preceded in death by her parents one grandson, Jerry Dean Bilyeu four brothers and two sisters.